- All registrants must have CARHA Insurance (additional $23 fee). If you played in the WWHA last year, WWHA Jamboree (Nov 2015), or you are registered to play this season, you have CARHA Insurance. 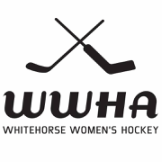 - All registrants must wear full equipment as per the WWHA equipment policy. - Players receive a minimum of 4 hours of instruction. - Goalie instruction is only available the afternoon of Saturday, Sept 17. - There will be a maximum of 30 skaters on the ice at a time. - There are multiple ice times available. The final structure of the clinic and ice times assigned to registrants will depend on the number of registrants and their skill levels. - Pay fees at Sport Yukon 8:30am-4:30pm Mon-Fri.
- For more information, email wwhayukon@gmail.com.